Over 100 years ago, the RAF motto was chosen and is more appropriate now than ever before. Per Ardua Ad Astra or Through Adversity to the Stars; a challenge, a target and a reminder that we should be aiming as high as possible. Whilst the RAF has achieved much in the last 100 years, it is now at a pivotal point that will define the future of Air and Space Power: to gain mastery of Space. However, it lacks direction and strategy, has been slow to innovate, slow to exploit technology and still does not fully understand how to integrate Space into front line units. Where are the coherent space policies, plans and capabilities? As the Financial Times asked on 3 Feb 2019: where is our Space Strategy? Space is vital to ensure our prosperity and security. Being able to influence others through Space gives us flexibility as well as maintaining our position in the international system. It is Critical National Infrastructure and supports capabilities without which we could not function in our high technology dependent culture and society. Just as the US are posturing to compete, deter and win in Space, so must the UK. Our strategy must use whatever means we have to maintain advantage or parity in a highly complex multi-domain environment in which Space [and Cyber] form the very fundamentals on which everything else operates. What the competition for Space further highlights is that the old Great Power contest that previously characterised the International System is far from dead and is re-emerging in a multi-polar system which is less stable than that defined by Bi-polar superpowers or Hegemony. In May 2018, the Secretary of State for Defence, Gavin Williamson, announced that the UK would develop a comprehensive military space strategy, yet this has been repeatedly delayed. So what is the issue? Unfortunately, though there are many small pockets of UK military personnel working within Space, they are too few, with still fewer looking at strategy. 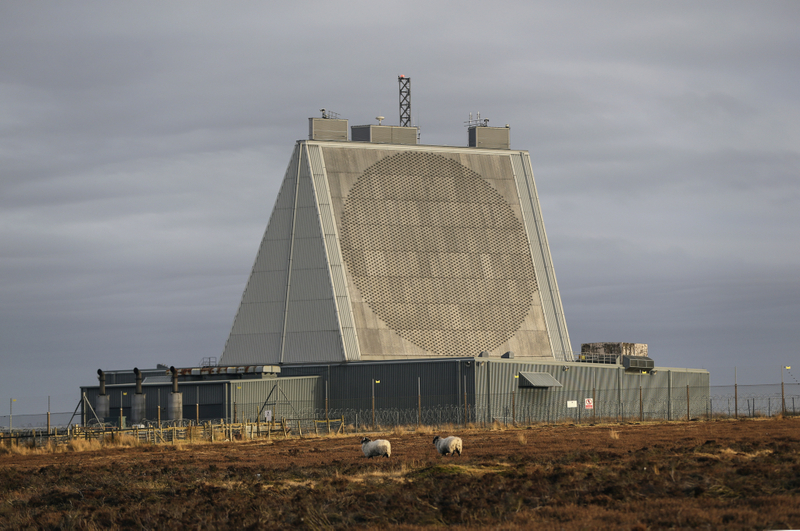 The RAF, as Defence lead for Space, has even fewer looking at Space Command and Control. Even the standing up of ’11 Group’ has seemingly lacked the drive and willpower required to fully develop RAF capabilities. This is due to it not being given the investment, freedom to initiate new projects, recruit new personnel into HQ roles, or the high level direction and strategy needed. With some calling for the RAF to lose the lead for Space there is even more imperative for change. The RAF should remain the natural lead for Space as Air and Space are inherently linked. However, there needs to be funding to properly develop RAF Space capability. Red tape should no longer be allowed to slow down the advance of innovation. If the quest to control Space was a war, the UK and RAF would be losing to other nations. We are on the brink of falling further behind the US, France, Germany and Australia, never mind Russia and China. They are developing not just the conceptual elements of Space Control, but the moral and physical components as well. We talk a good talk, so let’s now put words into action and start developing the capabilities, with industry, that will allow us to enhance our Space Situational Awareness1 Space Control2and grow it in other ways too. It is time to challenge the dominance of other nations because if we do not, we will be faced with a dark future. One where GPS is denied, where we face weapon systems that we cannot defeat or evade and where our freedom of action in Space is blocked, denied and defeated. Without Space almost all future operating environments become non-permissive, ultimately we will be exposed as never before. Space power is further complicated by the rise of a space industry that moves faster than governments, an industry which can influence government, and may be faster in all domains than the military. Space is not and will never be an easy environment to work in, but if we appropriately train our personnel, encourage innovation and speed up our processes underpinned by good strategy then we will at least be enroute to gaining some parity with our allies. At the USAF AFA 18 Air Warfare Symposium, Milo Medin stated that the problem is speed and a lack of technological innovation. I would go further and argue that the issue is not just about technology, but innovation in thought, action and direction. We are inefficient in our processes but our adversaries are not; they can invest, grow, learn and build at a speed that we cannot currently hope to match. As Medin stated at the conference: speed is life. There is risk in innovation but we have to understand that the speed of war and the nature of conflict has changed. Adaptation has to be quicker and we need to identify those who want to make changes, those who are innovators, those not necessarily bound by years of doctrinal direction and then give them purse strings to bring about that change. For the RAF the big question has to be: how can the RAF be better, more efficient, but also significantly faster? Air Power is inherently quicker than Land and Maritime but is outpaced by Cyber, Space and Information. The RAF will need to develop a greater understanding of the interaction of all these domains to provide freedom of action in conflict and also freedom to further develop the strategies needed to create a more focused approach to multi-domain operations. Give the RAF time, space and the resources to develop its capability. As the other Services start to lean in and contribute, integration will improve, interconnectivity will increase and the expertise across all 3 Services will grow leading to better Joint Action. Ultimately, it comes down to investment in multiple areas, it relies on innovation, speed and most importantly well-trained and prepared personnel. In the end a future where we have not properly invested in Space would be a bleak one but it’s not too late. Three strands stand out: firstly the need for speed, to be able to make timely decisions, pass information rapidly, make change at a pace near or as close to industry, our allies and our adversaries as possible. Secondly, the need to encourage innovation and then support initiatives; we need to invest in ideas, people and technology. Lastly, we need a strategy. There has to be direction, not just concepts, and we cannot wait until 2020, 2035 or 2050. The impact on the Defence has already been realised, we are already playing catch up and no one is going to wait until we are ready to start testing us. Benjamin is an Air Ops Systems Officer in the RAF with an academic background in Politics and International Relations. A strong advocate for promoting Professional Military Education on his unit, this is his debut at writing for a wider audience.